The report notes that since the Ankara Ceasefire Agreement went into effect, there has been a decent and notable drop in the rates of killing throughout Syria in comparison with the previous months from March 2011 until now. The main focus here is the areas under the control of armed opposition factions, as the Syrian regime-held areas aren’t subjected to heavy, daily aerial bombardment, which has resulted in the killing of no less than 60% of the victims, and destroyed buildings, displacing the people of Syria. However, the report adds that breaches haven’t stopped, mainly by the Syrian regime, who is seemingly the party that would be affected the most should the ceasefire go on, especially crimes of extrajudicial killing, and, more horrendously, dying due to torture, which strongly proves that there is some sort of ceasefire on the table. The crimes, however, that the international community wasn’t able to notice, and particularly the Turkish and Russian sponsors, are still ongoing as nothing has changed in that regard. The report stresses that the rate of the Syrian regime forces’ violations against medical and civil defense personnel and their respective facilities in February has returned to its former levels before the ceasefire agreement went into effect. This proves that the Syrian regime is the most affected party by the ceasefire agreement. The report documents the killing of nine medical and civil defense personnel in February 2017 which are divided into seven killed by Syrian regime forces, one by Kurdish Self-management forces, and one by other parties. 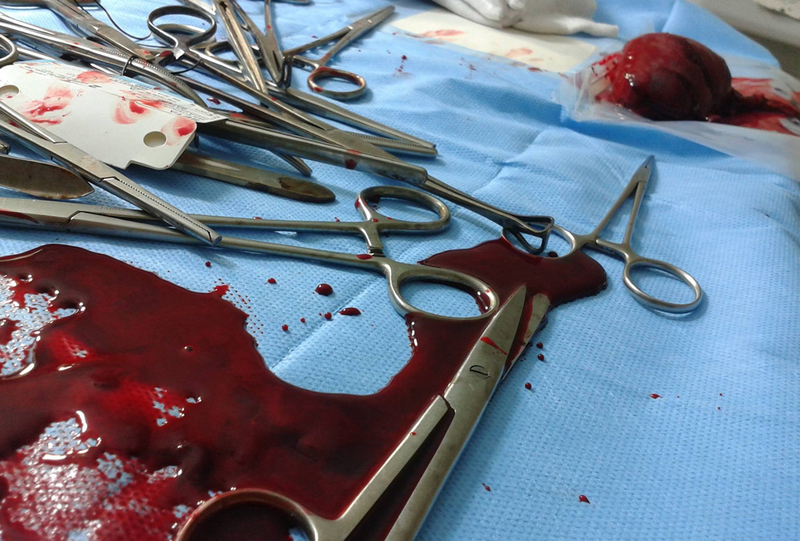 The report breaks down the victims, where Syrian regime forces killed one nurse, two paramedics, one medical personnel, and three civil defense personnel. Kurdish Self-management forces killed one paramedic, while attacks carried out by other parties (which includes groups we weren’t able to identify in addition to Turkish, Jordanian, and Lebanese forces) resulted in the killing of one doctor. Furthermore, the report documents 42 incidents of attack on vital medical and civil defense facilities including 31 by the Syrian regime who targeted 11 medical facilities, six ambulances, 13 civil defense centers, and one Syrian Arab Red Crescent (SARC) center. Additionally, the report records six incidents of attack on medical facilities at the hands of Russian forces, and one incident of attack on SARC center by armed opposition factions. In addition, the report documents three incidents of attack on three SARC facilities and one on a medical facility by other parties. Moreover, Syrian forces violated the rules of the international human rights law committing acts that constitute war crimes. Additionally, Russian forces, Kurdish Self-management forces, armed opposition factions, and other parties carried out acts that amount to war crimes through the crime of extrajudicial killing and targeting of vital civilian centers.